A family friendly game that gives you an excuse to wear cowboy hats and collect lots of colorful dice. Rated G.
A quick overview of the contested die rolling system that is used in almost EVERY game found here, from Galactic Heroes to Road Wolf. Easy to learn Tabletop game that puts those little Star Wars figures to work. Great for kids and adults. Adaptable to other figures too- try it with Legos if you prefer. Rated G.
Fun for the whole family, this friendly Tabletop game sees wild animals raiding a small American town for food. Rated G.
Take control of quirky Retro Bots and try to stop the rampaging, malfunctioning Rogues in this Cooperative robot mayhem game! Rated G.
A silly and fun competitive Tabletop game that makes great use of any kind of small figures, especially suited for SD gundam gashapon figures. Also a great introduction to MS ERA once you're ready for a more serious game. Rated G.
A Tabletop Spaceships game full of exploration, battle, and friendly competition, great for kids and adults! Also includes tips for making your own space ship minis. Rated PG. A Tabletop campaign game where Goblins, Faeries, and other small folk engage in mischief and mayhem. Rated PG. This is the first in (hopefully) a series of campaign games that will eventually replace the Rules Crusade system, so younger audiences can enjoy quality miniatures and terrain! A cooperative Tabletop game for 1-5 players. Explore time and space, encounter enemies, solve problems, and complete adventures without getting into too much trouble! This game makes use of Lego-sized Doctor Who figures and random board generation, so it is fun for kids and adults alike! Rated PG. A home made expansion set for Steve Jackson's silly space game, Star Munchkin. Rules for exploring rooms adds a whole new dimension of craziness to this classic game! 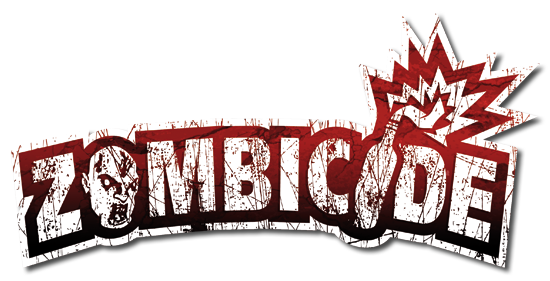 House rules, new characters and missions, and a Sound Board for your Zombicide games! A tabletop Pirates game with lots of treasure hunting, sea monsters, and steampunk vehicles. Coming soon: tips for making your own models! A competitive game of Mobile Suit Warfare, Tragedy, and Greed. And a great excuse to buy cool little Gundam figures! Rated PG. Fast-playing alternative rules for Space Hulk. Supports Cooperative play, Solo Play, Exploration, and many new scenarios and forces! Rated PG. A Tabletop game that brings brutal vehicular combat into your living room! Inspired by the classic Mad Max and Road Warrior films. Put those old Hot Wheels cars to good use! Rated PG-13. A Light Roleplaying Game based on Armored Trooper Votoms. Mainly a rough outline of the core skill and combat rules, though there's some nice photos of our campaign so far... Rated PG-13. Campaign rules for skirmish level Miniatures Gaming, set in the Warhammer 40,000 universe. Based on the classic Milton Bradley board game, Space Crusade. Rated PG-13. We've finished our first Votoms campaign- you can read the entire log here! Also, there are some recent tweaks to the Seacrashers cards and rules.